Customise your very own Sony Xperia Z5 Hard Case. A transparent case with your personalised photo or design. 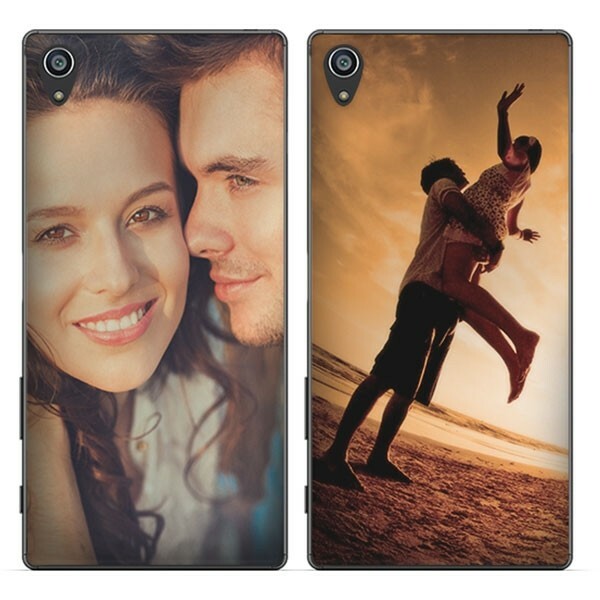 Your imagination printed on your personalised phone case. The transparent hard case for the Sony Xperia Z5 is a great case to personalise. Due to it being transparant, you can make some really cool designs which incorporate your device. The case is made of a strong and durable plastic which will protect your phone from scratches and dents. The case is also a great printing surface. To know how you make a case, keep reading! How do I make my Z5 case? To design your own case, you first need a cool image. Think of a great holiday photo, a pattern you love or a cool quote you found. Whatever you want, you can have it printed on your case. You can upload an image file straight to the design module. There are also some really great pre-made designs available to you. They are made by some of our very talented designers here at GoCustomized. If you need any help, please feel free to contact us at anytime. What can I expect from GoCustomized? Within 24 hours your hard case is made and the order is sent. We do this carefully and via mail service. All packages sent by us fit through your mailbox, so you don’t have stay at home to receive your case. Our 24 hours made and send policy is guaranteed.